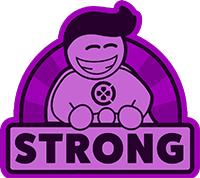 Katamari Damacy Reroll is ranked in the 90th percentile of games scored on OpenCritic. This remains the magical, bizarre, joyful and utterly peculiar game that earned its place in gaming history. It also remains very short (about four hours at a slow pace? ), but also extremely replayable, with so many targets to meet. And it’s very funny, in a super-dark way. Reroll reaffirms that 14 years after its debut, Katamari Damacy remains a bright streak of design vision and an iconic waft of imagination. It’s the kind of no-fuss game that’s fantastic in short bursts, which makes it well suited to the handheld console (I played through a lot of this in bed while interstate and visiting my folks, for example). It’s a fun world to flitter in and out of, and it has one of the best soundtracks imaginable. I do wonder if Bandai Namco could have done more than just plonking the original game out here, but I guess at the end of the day they knew what they had held up, in all its grand simplicity, pretty well. It obviously very niche, and as with any other example of surrealism, a lot of people are going to completely miss the appeal of Katamari Damacy Reroll. Polarising as it might be, it's something everyone should try, because it's also the perfect example of how games can be used to a genuinely artistic outcome. For those who haven't yet given Katamari Damacy a shot, if you long for the unexpected and uncomplicated, Katamari Damacy REROLL offers respite from the norm of today's games. If you've always had a soft spot for the series, this is your chance to relive the joys of proving yourself through a brighter, more clearly defined lens. EXCELLENT - The original Katamari Damacy is a timeless game, and this updated version is a great improvement with its new HD graphics. Some might have issues with the motion controls, but luckily the traditional stick controls are here as an option as well. It doesn’t get much zanier than this! All in all, it is so good to have a Katamari game on Nintendo Switch. Katamari Damacy Reroll is a brilliant game and is one for anyone who wants something truly unique, the weird gameplay and wonderful sense of humour combine to make a game that will have you quizzically smiling throughout, then promptly jumping back in to see if you can beat your last scores. You’ll have a hard time stopping once you start rolling. Katamari Damacy Reroll doesn’t really add much in regards to new content, which is disappointing, but not a dealbreaker by any stretch. Unlike other remasters, Monkeycraft went for the “optimize the crap out of it and make it look pretty” approach and instead gave us a visually updated version of what is already a very complete game with a surprising amount of replayability that is as immensely fun as it was back in the day. Still one of the most original and entertaining video games there's ever been, with a surreal sense of humour that permeates every corner of the gameplay and presentation. Whenever there's a conversation about video games and if they can be considered art, Katamari Damacy needs to be involved. 15 years ago, it arrived on PlayStation 2 touting an absolutely unheard of style of gameplay, art and music. 15 years later on the Nintendo Switch, and it remains one of a kind. Katamari Damacy is a wholly unique video game, and it is an unabashed love letter to the copy-and-paste pop aesthetic of Japanese 1990s pop culture. It's bright, weird, silly and cute, and is a must play for anyone, anywhere. Katamari Damacy is one of those games that everyone should play at least once. Katamari Damacy Reroll is as simple, silly, and superbly entertaining as it was more than a decade ago. The main experience stays intact, but the remaster does enough to make anyone interested in this game smile. Here's hoping that Bandai Namco takes this reimagining and invests in the original sequel next. A clean and easy HD version that doesn't mess with the perfect formula of the original. Katamari is amazing today as it was 14 years ago. 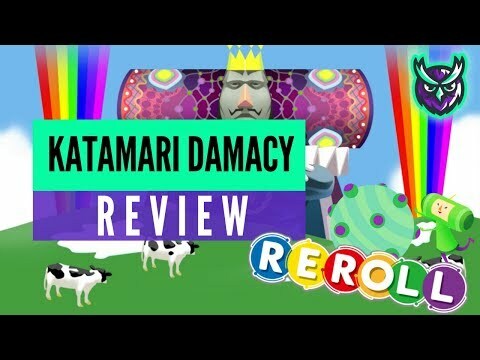 In a cynical era where nostalgia is pumped for all its worth with endless soulless remasters, Katamari Damacy Reroll serves up an engaging and rewarding game that hasn't let any of its original charm or personality be lost in the transition from one platform to another. With support for gyro controls and multiplayer – not to mention a degree of performance that sees it run smoothly in both handheld and docked mode – this Switch edition is easily the best way to play it outside of blowing the dust off your old PS2. Katamari Damacy Reroll brings the original Katamari Damacy back for a new generation, and all of its fantastic gameplay and heart is now combined with beautiful high-definition visuals. There's almost nothing new here save for mediocre motion controls, but then again, nothing needed to be added to make this quirky classic worth playing again (or for the first time). The delightfully destructive gameplay is very moreish. Katamari Damacy Reroll succeeds in replicating the magic of the original title, with only minimal improvement needed to make it appealing to modern audiences. The core concept remains unique among the greater swath of games, and the simple act of using everyday objects to create a whimsical ball of destruction never gets old. The goofiness remains, as does the wonder of seeing what kinds of random things you'll pick up. Katamari Damacy Reroll is a classic and a must-have for just about every Switch owner. Katamari Damacy is one the most enjoyable games in this industry and it will draw a smile on your face during all of its moment. Reroll gives a whole new generation the chance to experience this wonderful Japanese fever dream. Katamari Damacy Reroll brings the wildly original PS2 game into the modern era, with a true remaster perfect for the Nintendo Switch. I'd wholeheartedly recommend Katamari Damacy. I was expecting to enjoy the experience, but to my surprise, I ended up loving it. It's unique, it's fun, and it's only £16. There is a lack of new content though, so if I'd already owned this game elsewhere, I'm not sure it'd be worth it. That said, since I hadn't played it before, I'd have definitely picked it up. Wonderfully weird and inventive. Katamari Damacy isn't perfect, but it holds its own impressively well 14 years on. In the end, Katamari Damacy Reroll isn't perfect, nor was the original, but it is certainly fun. Not only is it simple fun, with relatively endless stress-free replayability, it makes for a fantastic portable game. With levels lasting anywhere from a couple of minutes to roughly 10, it makes for a good pick up and play game. When you consider the series charm and simple elements, it's honestly hard to say no at this price. Even more than a decade after its original release, Katamari Damacy REROLL still holds up and is beautifully charming. However, if you've played the original, you won't find any reasons to replay the game here. A classic from the not so recent past, now remastered for the newest generations of gamers. Katamari Damacy Reroll is a great chance to explore one of gaming’s most revered cult hits. The gameplay might not be all that creative after a while, but it’s still a whacky, whimsical game of colors and shapes and rolling around that definitely merits a playthrough. 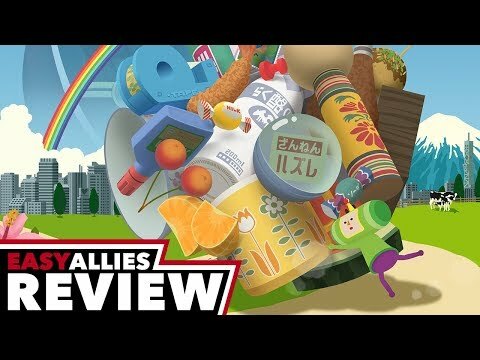 Few titles seem to capture the timelessness that Katamari Damacy Reroll does, with bright visuals and a silly play style that are just as fun and unique now as they were years ago. Katamari Damacy Reroll brings back a cherished classic to modern consoles. It acknowledges the historical significance of the franchise and avoids making too many changes, sticking closer to the creative vision, therefore making it a great remaster. Even after fifteen years, Katamari Damacy Reroll is still a very fun game to play, both for old fans and the new comers. Katamari Damacy REROLL is a condensed, but immensely enjoyable experience. The controls are the main roadblock for sure, but they're not quite enough to detract from just how fun this game is. REROLL is a simple port of a simple game, refreshed for a newer audience, while also keeping all its charms and quirks intact. There's no better way to roll. This remaster gives Katamari Damacy the high-definition graphics and keyboard support that you'd expect in a modern PC game, but that's all. Considering the game's excellence, that's just fine. Katamari Damacy Reroll is just as fun today as it was fourteen years ago. Katamari Damacy REROLL is a surreal, silly and above all fun game with more than enough oddity to entertain all but the most jaded of souls. This entry isn't the most complex or challenging, but it's an ideal starting point for new players on PC and Switch alike. Katamari Damacy REROLL is a nice stroll down memory lane. While the graphical touchup could’ve been more substantial, the game itself remains quite a joy to play years later. Katamari Damacy Reroll is short, simple, but so very sweet. And at a price point as low as this, it's honestly hard not to recommend, even with all the great games that came out this Fall. Katamari Damacy REROLL may not exactly be modern-looking, but it’s still the best that Katamari has ever looked. And hell – it’s just Katamari. What more do you need? Katamari Damacy REROLL is a great way to experience a title you may well have missed. Katamari Damacy REROLL is a fantastic experience for people who have never experienced the game before but it is a pretty barebones port on PC. Katamari Damacy Reroll is basically the same game that came out in 2004 but it looks a lot better and can be played portably. If you've never played Katamari before, there's no reason not to pick this up over the original release on the PS2. The game is still a delight, and while it may make you dizzy, picking up objects and watching your katamari grow with all sorts of random objects will always be a delight. If you've played this before, though, there's really nothing new here that's worth trying out. As a port of the original, Katamari Damacy REROLL is definitely a great way for people to try this bundle of rolling wackiness for the first time. Just note that it can get very repetitive very soon, and that it clearly comes from that awkward phase where 3D games weren't that refined. I found Katamari Damacy REROLL to be much more frustrating than fun. It lacks modern fundamentals like a good camera and intuitive control, made worse by ill-fitting time restrictions. It's a very repetitive game too, one that I really couldn't play for more than two levels at any given time. A minor HD coat of paint can't compensate here. I suspect Katamari Damacy, though a hit with most critics, will remain a sleeper of a game amongst players, even on Nintendo Switch.